Hello all! It's been a long time since I have posted and I want to thank all of you that have continued to follow through my hiatus. A lot of changes have occurred in my life over the past few months that have made it difficult to keep a regular schedule on Let There Be Lacquer. But I am back! And better than ever with great plans. 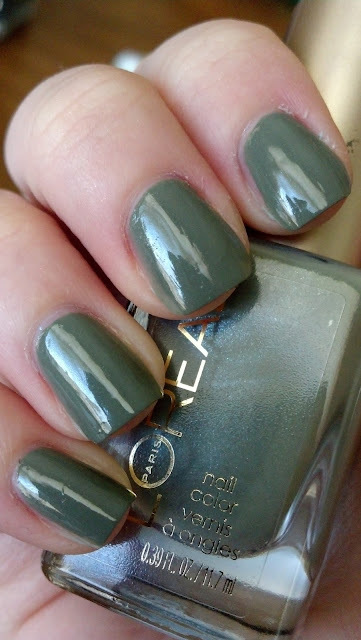 Just to get my feet wet, here is an NOTD, Loreal Safari Chic. 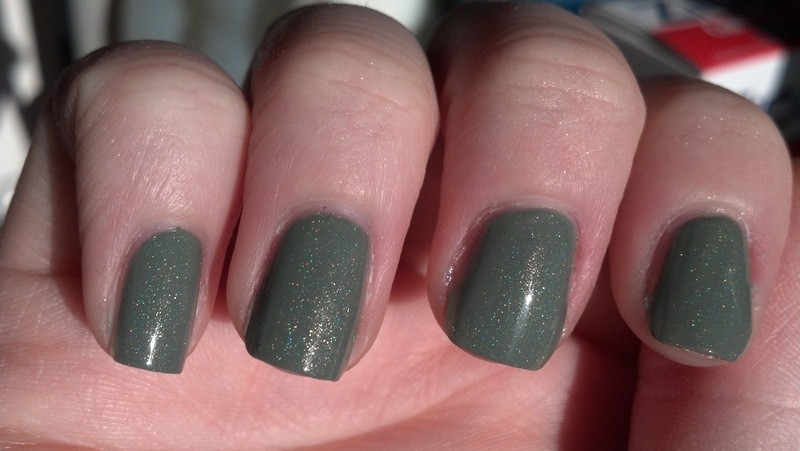 This muted/smokey green in my opinion is a must have fall shade. I can't tell you what collection or year it's from, It was floating around on a shelf at my local Rite Aid. At $5.99 the quality was excellent. The formula was nice and smooth and applied great. Pictured below is two coats. A while back I added some spectraflair to a half empty bottle of Seche. I can't believe that I haven't used it until now! Below is one coat of spectraflair topcoat over Safari Chic. 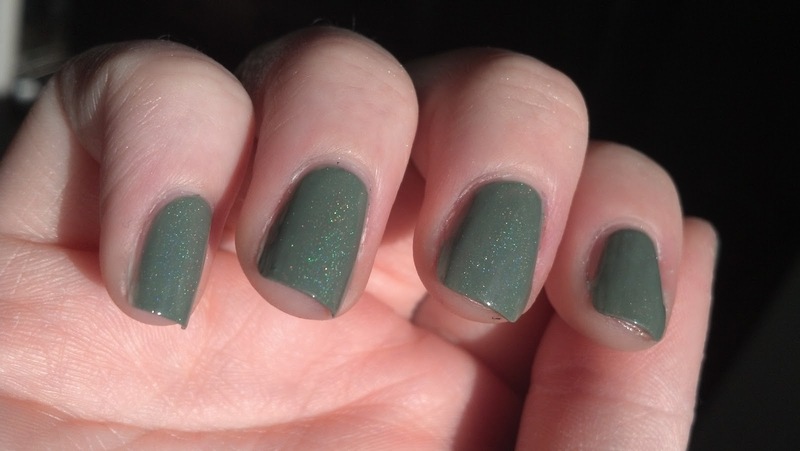 It's not visible unless in direct sunlight, but it's a nice surprise and a good way to spice up a classic mani. I am SOO glad to be back and I hope you all enjoy what I have in store!